League of Legends has become immensely popular with the gamers due to its unique, exciting, and action-filled gameplay. It is a competitive game that a lot of strategic thinking and skills so that a player can outplay their enemies. Thus, for a beginner, this can prove to be quite overwhelming to learn how it is played and ways they can boost their skills. In this article, we have covered some of the most effective tips that League of Legends players can follow to lift their skills. Continue reading to know more about these tips. This one is for the beginners. If you are new to this game, ensure that you know all the basics about the game's map before you start playing it and go on the mission to destroy your enemies. Moreover, you shouldn’t miss out on checking the mini map in the game. It will tell you about the attack of enemies and certain opportunities that can take you to the next level. For LoL players, it is important to buy wards as they can help to give you an added advantage. With these wards, players can keep a tab on their enemies. This feature can come in real handy for them as they can help to prevent attacks from the opponent team. Many LoL players make this mistake of neglecting wards as they cost gold. However, by doing this, they end up losing opportunities to reach a new level in this game. If there is something in that deserves utmost importance in this game, it is your last hit. It can either win the battle or take the game away from you. The best way to master your last hit is to practice and practice hard. For this purpose, try a bot game and keep practicing until your last hitting skills are perfect. Last hitting practice in bot game will help you to know certain tricks. After you have practiced enough, you can then move to the real battles and flaunt your last hitting skills to the perfection and win battles for your team. Taking objectives in LoL is important to win the battle. Therefore, the timing of taking objective during a game is a crucial aspect, which every player needs to know. If you aren’t taking objectives, your chances of winning a game are minimum as the only way to win will be to wait for opponents to surrender. The timing of taking the objective depends on your situation in the game. It all comes down to your team’s current position i.e. whether you are winning the game or losing it. To sum it up, by following these above-mentioned tips, you will surely be able to improve your skills and be on top of your game. 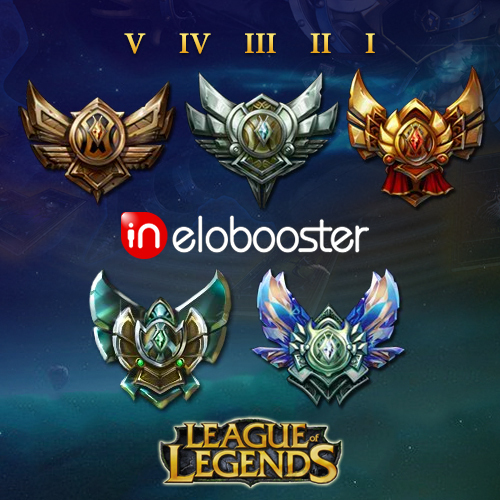 If you need to buy our ELO boost (league of legends elo boost) service to improve your skills, you can click on the button to enter the purchase page to buy elo boost. Our team is professional and the service is guaranteed. Welcome to continue to pay attention to us.